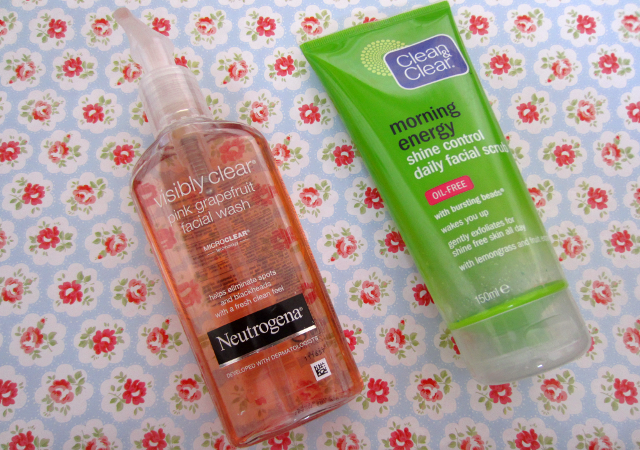 Thought I'd do a quick post about some of the skincare products that are working for me at the moment. I have really irritating skin, oily and blemish prone and although not dry I often get flaky skin around my nostrils so I need a good exfoliator. I've found one thing that has helped my skin recently was cutting out the primer I used (MAC's Matte), it's well worth stopping using certain products for a little bit to see if they may be what's causing your skin problems! I use these two in the shower, I use the Clean&Clear face scrub about every other day, then the Neutrogena face wash daily in the morning. Especially if I use the Neutrogena face wash I will moisturise straight afterwards with the Body Shop's Seaweed mattifying day cream, which is the only moisturiser I've found that is light enough on my oily skin that I don't break out after using it. 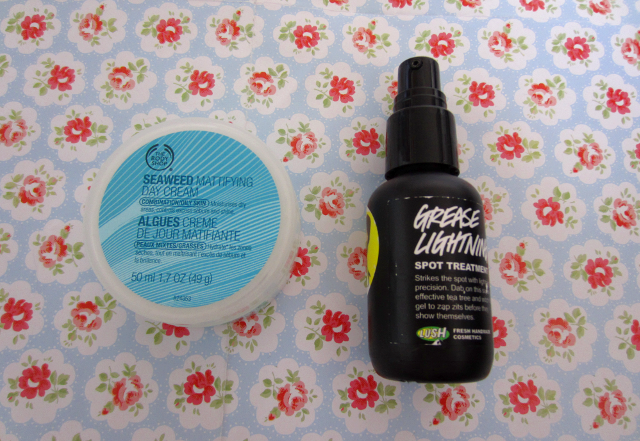 Lush's Grease Lightning is actually a spot treatment but as it has tea tree oil I use it as a multi use product. If I've been wearing make up during the day I will first remove it with the Johnson's Baby Wipes (I especially like the ones suitable for newborn babies as they're so gentle on the skin), then use Lancome's gentle softening cleansing fluid for face and eyes with some cotton wool, which gets rid of any make up the baby wipes miss. I adore the smell of the grapefruit cleanser - I've tried it before! ps. there's £250+ worth of beauty products up for grabs on my blog right now, click here! Very helpful. I like to see what other bloggers use. I have the same problem with the dry skin around the nose lately - might be because I've been over exfoliating or something! I've been trying to keep it more moisturised and even applying some 8 hr cream to keep it hydrated!